The joint project PROMISE is aiming at improving data protection and the self-determination of patients regarding their genetic data. Together with cooperation partners, CeGaT is developing a highly secure cloud system, in which sequenced genome data can be stored in an encrypted form. Access to these data is only possible by the patient himself, and only the patient can decide who can use the genetic data. Within PROMISE, CeGaT will analyze legal and normative issues from the genetic diagnostic industry’s perspective and will carry out a detailed analysis regarding patient data protection. To evaluate and to verify the performance of the cloud system, CeGaT will slip into the role of a customer and will, as an analyst, ask queries to the PROMISE cloud and validate the results. The main goal of the project is an operative cloud system containing genetic data of patients suffering from cardiomyopathy. 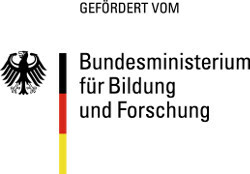 cfDNA is a project funded by the initiative KMU-Innovativ: Biotechnologie-BioChance of the German Federal Ministry of Education and Research. The goal is to establish methods for the analysis of blood-circulating tumor DNA (cell-free DNA, cfDNA) in the context of cancer diagnostics. This would make the existing molecular genetic mutation analysis at CeGaT available to further patients, who, for medical reasons, cannot undergo a tissue biopsy. Using this technique, these patients also have a chance to receive a specifically tailored treatment. In addition to an initial diagnosis, the analysis of cfDNA opens up the possibility of close cancer monitoring. Pioneering investigations show that in many cases this method can detect the progress or the recurrence of a tumor at very early stages. This makes cfDNA-based diagnostics a promising addition to the currently available imaging methods and tumor marker studies. COSYN is a unique pan-European project bringing together leading experts from the relevant clinical fields, genomics, stem cell biology, neurobiology, and from the pharmaceutical industry. The aim of the project is to identify the correlations between intellectual disability and the co-occurring diseases autism and schizophrenia. Further approaches for new diagnostics, cellular assays, and an effective therapy shall be developed. Within this project, CeGaT is responsible for the performance of genetic sequencing analyses. This will include the identification of genomic rearrangements and off-target effects of genome editing. CeGaT will also perform quality control testing to ensure the genomic stability and cell identity of cultured patient-derived cells. 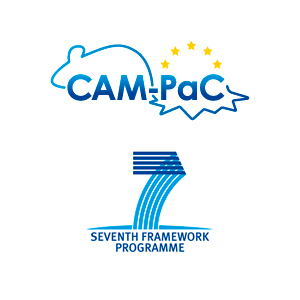 The CAM-PaC project deals with the integrative analysis of gene functions in different cellular and animal models of pancreatic cancer. Initially, novel cellular and animal models, as well as novel strategies, will be developed to generate large-scale metabolic, transcriptomic, and genetic data. On this basis, novel therapeutic options and bioinformatic models for predictive diagnostics can be developed. CeGaT is contributing to the consortium by providing its expertise in transcriptomic profiling and interpretation. The first step is the establishment of routine protocols for quantitative interpretation of transcriptomes of clonal-sphere cultures (CSC) consisting of approximately 40–100 individual cells. 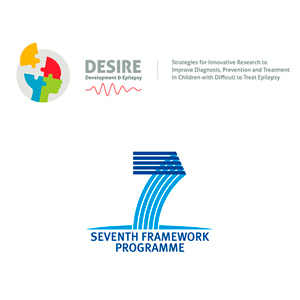 In the DESIRE project, novel strategies will be developed to advance the diagnosis, prevention, and treatment of children with difficult-to-treat epilepsy. An important milestone includes the development and identification of different diagnostic tools and biomarkers in order to enable a standardized diagnosis and patient stratification. In this context, CeGaT will identify miRNA biomarkers from thrombocytes and will validate how these biomarkers can be used for the diagnosis and the prediction of progression of disease.